C'est une surprise mais nos rendez-vous After Work du mercredi soir ont tenu le coup pendant les vacances! Évidemment, nous étions moins nombreux mais certains sont restés fidèles au poste armé de crayons, pinceaux, feutres ou aquarelles. Ainsi nous avons fait du Tango sur le quai Saint-Bernard, bu des bières à la Rotonde de la Villette, commencé des expériences de peinture by night et mercredi dernier, nous avons profité du jardin flottant et du verger des nouvelles berges de la Seine. Au soleil couchant, la lumière était superbe. 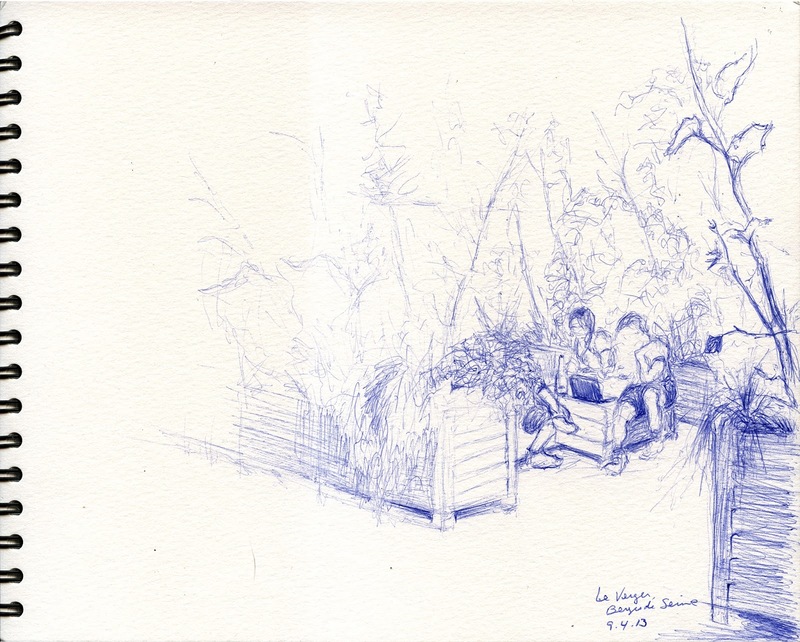 Vous pouvez voir quelques-uns des dessins faits par les Urban Sketchers lors des After work ici. Les discussions autour des rdv c'est ici. 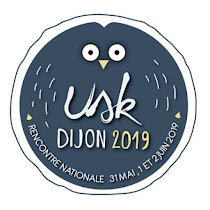 Nous espérons vous retrouver tous au fil des soirées du mercredi. A très bientôt! Et encore merci Fred pour ces rendez-vous After Work. While a lot of our friends were away on vacation this summer, a small but enthusiastic group of Paris sketchers continued to meet up for our Wednesday evening "After-work" sessions, visiting different neighborhoods and capturing some of the atmosphere in the capital. We met up on the banks of the Seine to try to sketch the tango dancers, visited the Musée Rodin to draw in the garden that was exceptionally open at night (for the first time ever! ), made a few excursions into Belleville and took advantage of the newly opened Berges de Seine, to name just a few. We sketched well into the nights, drinking beers in cafés and picnicking on the waterfront – it was a wonderful way the spend the long summer evenings. To see just some of our results, I've put together a little gallery here. Summer is now over. But hopefully we will continue to meet up for our After-work drawing sessions. Meetings are posted on our Google calendar (in the sidebar of this blog), and ideas are discussed on our Flickr page here. Everyone is welcome to join us, hope to see you soon!